The new W71249F2W in white combines simple efficient programmes with a large 7kg drum and a smart LED display letting you wash more, with style. Eco-Logic technology adjusts wash times for half loads, saving you both time and money. 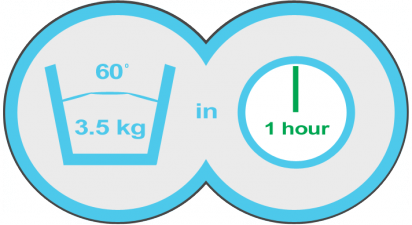 A 60 minute, 60C programme allows you to wash the dirtiest clothes in just an hour; whilst a super quick 15 minute option lets you freshen up lightly soiled items. And if you don't have the time to sort through loads our mixed wash programme is ideal for you. 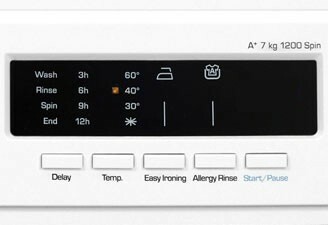 With a display that tells you how long the programme has to run, the option to adjust wash temperature and the choice to delay the wash start time, this is a machine that really works for you. 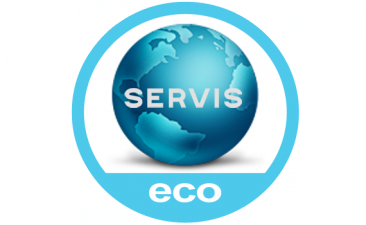 Our temperature select function allows you to decrease the washing temperature; giving you the flexibility to choose to wash cooler and save energy. The clear LED display on the Servis W71249F2W doesn't only show you which programme, temperature and spin speed you have selected. 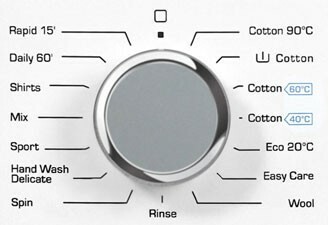 It also lets you know how long your wash has left to run.